CRUZ BAY, St. John, USVI - While some weeks might have passed there is nothing wrong with a Virgin Islands News Online flash back of legendary reggae and love song artiste Beres Hammond’s performance on St. John in the United States Virgin Islands last month. 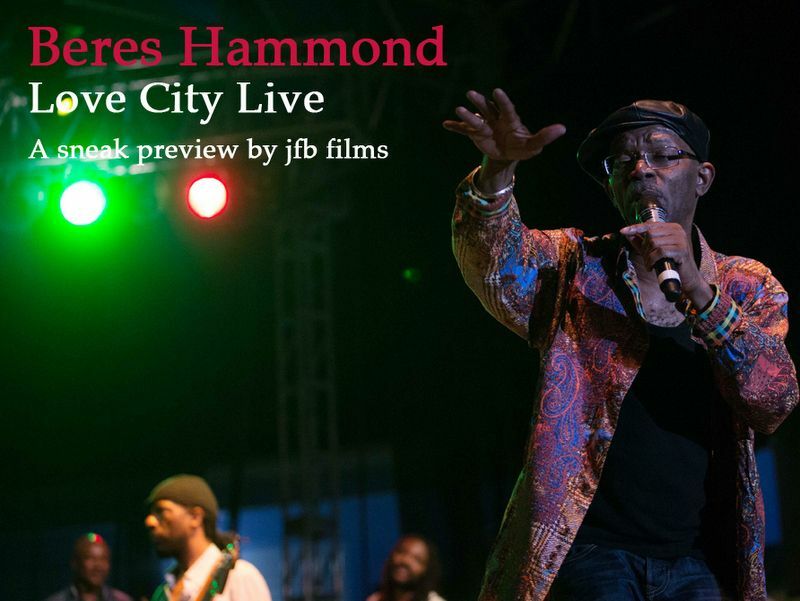 It was a night to remember for those who made the concert event on January 25, 2014 when Mr. Hammond was the headliner for the 4th annual Love City Live! music event at the Winston Wells Ball Park, in Cruz Bay, St John. Beres Hammond who was born Hugh Beresford Hammond, on 28 August 1955, in Annotto Bay, Saint Mary, Jamaica is a popular reggae singer known in particular for his romantic lovers rock and soulful voice. The house was certainly packed as local artistes from the Virgin Islands had also performed and lots of ferry boats, along with power boats lined the seas lanes from Tortola, Jost van Dyke and Virgin Gorda to reach the concert in St. John just a stone’s throw away from the three main islands of the Virgin Islands (Virgin Gorda, Jost van Dyke and Tortola). For those who were in love the romance signer Beres did not disappoint with his many creative love songs that delighted many and brought back all types of relationship emotions and memories as the attendance rocked the early morning away. One could not escape that it was a rainbow of party people from black to white, locals to tourist and even a few of the social elites from the greater Virgin Islands were spotted in the crowd. Hammond who formed his own record label, Harmony Records, in 1985 for the release of his Make a Song album which had two Jamaican chart-toppers that were influenced by the then emerging dancehall style: "Groovy Little Thing" and "What One Dance Can Do" the latter, produced by Willie Lindo began to break Hammond into the international market. He scored another hit in 1986 with "Settling Down" on his eponymous release. He left his fame in Jamaica for New York where he recorded the Have a Nice Weekend album and the duet single "How Can We Ease the Pain" with Maxi Priest. Ok enough of the history lessons. Time to sit back and take in just a few minutes of Beres Hammond’s performance last month in St. John (click on video clip below) and enjoy the talented works of famed local photographer John F. Black of East End. Beres Hammond @ Love City Live from John F Black Films on Vimeo. Beres is forever the epitome of lover's rock. His vibes transcends across generations and races. May he continue making hit, after hit, after hit! Bless! I am so heartbroken over learning of the recent passing of the beloved Bunny Rugs of Third World. Like Beres, Rugs was one of my fave and respected artists. Happy I shared the 40th at Nanny Cay. Jah Jah bless and keep, soldier. Selah. Digicel if this is what you sponsor and bring to our community then keep it!!! and we will not support your network!!! bigs up john I am starting to love your work!! !